A lovely example of a Victorian pearl set flower brooch. The lily of the valley brooch is crafted in 15 carat gold and looks exquisite. We have lots of similar quality items available to view and purchase from our Etsy store. A small preview of some our lovely unique vintage and antique brooches which we have in out store. Please feel free to visit our store and make offers on any of our beautiful items. 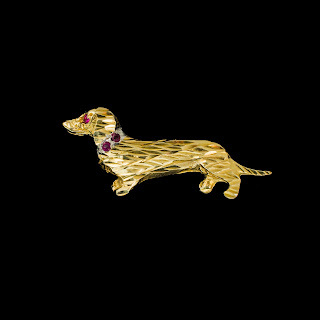 Here at Helenas Curio we love anything to do with animals and in particular dogs, so when we had the chance of buying this vintage gold dachshund brooch with rubies we just couldn't resist. 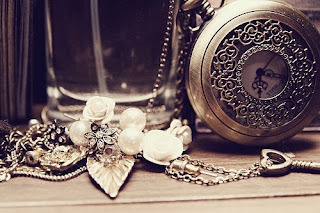 Take a look at this and more lovely items of quality in our antique jewellery store.